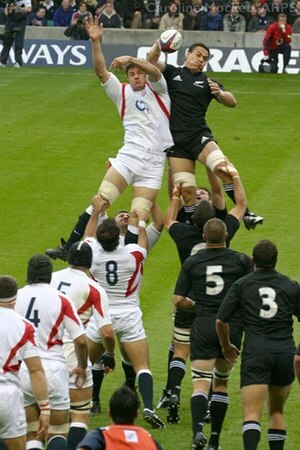 The opening weekend of RWC 2011 was excellent. Quality opening ceremony, mostly tight games and just a touch of controversy to keep the banter going until the next round. I have just one hope (outside of an AB’s victory of course) and that is that us Kiwis learn to totally embrace and love everything going on during the RWC. I have been fortunate enough to attend a FIFA World Cup in France and to have been living in Sydney when they hosted both the Olympic Games and the 2003 RWC. My lasting memory of those three occasions was the euphoric spirit amongst the hosts and visitors alike. It was unbelievably enjoyable! That’s the opportunity we have right now. Let’s shake free from our intense scrutiny of the All Blacks that often leads to dour support and little celebration of the great things they are capable of and just relax and get into the whole thing. I passionately hope we win but I am also determined to enjoy the whole experience again regardless. That’s how I see it… a GREAT OPPORTUNITY for six weeks of highly contestable sport and associated fun that leaves everyone on a lasting and memorable high! PS: There are some very cool local things going on outside of the fanzones so keep an eye out! Poneke Rugby Club hosting the South African Fans and the local Te Reo school in Seatoun giving authentic Maori tours and experiences… Nice!